For other uses of "Louis, Dauphin", see Louis, Dauphin (disambiguation). 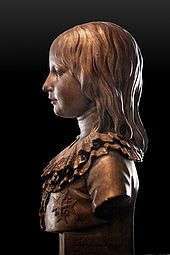 Louis Joseph died at age seven of tuberculosis, and was succeeded as Dauphin de France by his four-year-old brother Louis-Charles. Louis Joseph Xavier François de France was born at the Palace of Versailles on 22 October 1781. He was the long-awaited Dauphin. 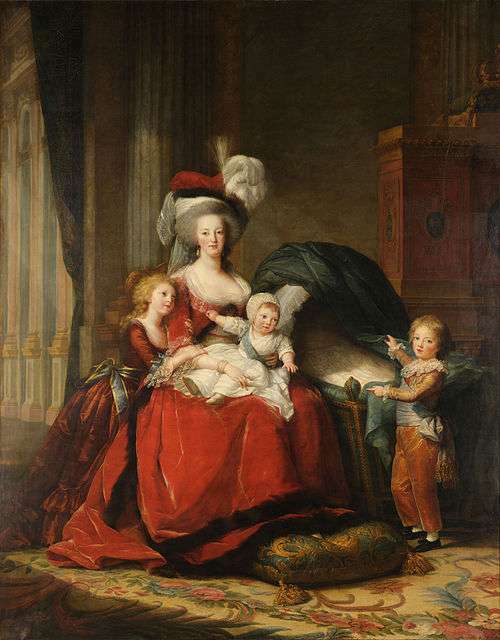 His elder sister, Marie Thérèse Charlotte, Madame Royale, was not allowed to succeed to the throne due to the Salic Law. The birth of Louis Joseph at that point ruined his uncle's hopes of becoming the king. His private household was created upon his birth and he was put into the care of Geneviève Poitrine, one of his wet nurses. She was later accused of transmitting tuberculosis to the young Dauphin. His sous-gouverneur was the Maréchal de camp Antoine Charles Augustin d'Allonville. Another member of his household was Yolande de Polastron, duchesse de Polignac, his mother's favorite. Louis Joseph was very close to his sister and to his parents, who closely watched over his education. He was always praised for being a very bright child for his young age, however, it was often noted that he had very fragile health. 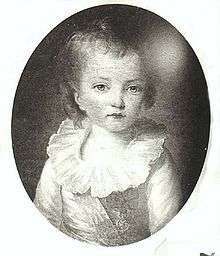 Around April 1784, when he was just three years old, Louis Joseph had a series of high fevers. Out of fear for his health he was transported to the Château de La Muette where the air was reputed to have healing properties. The time at La Muette seemed to help Louis Joseph recover and, almost a year later in March 1785, Louis Joseph returned there, where he was inoculated against the smallpox. However, his health remained fragile. In 1786, the fevers returned but his household regarded them as being of no importance. These fevers however were the first signs of tuberculosis. In the same year, Louis Joseph's education was turned over to men, as was customary for the sons of the kings of France. At the ceremony, it was noted that Louis Joseph had trouble walking, which was, in fact, caused by a curvature of the spine - something which was treated through the use of corsets en fer - iron corsets. As of January 1788, the fevers grew more frequent and the disease progressed quickly. Louis Joseph died at the Château de Meudon on 4 June 1789, at the age of seven and a half, during the Estates General. He was buried on 13 June in a simple ceremony at the Basilica of St Denis. On 10 August 1793, on order of the National Convention, during the Reign of Terror, his tomb, together with those of the kings and queens of France, members of the royal family, high dignitaries, abbots... were desecrated. 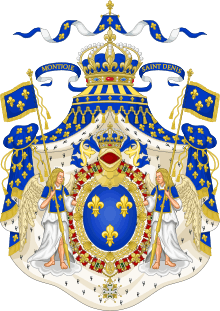 At the death of Louis Joseph, the title of Dauphin passed to his younger brother Louis Charles, Duke of Normandy (1785–1795), who died during the French Revolution, at the Temple prison. 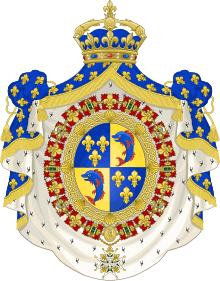 Dauphin County, Pennsylvania, is named for him (Louis Joseph, Dauphin of France). The Pennsylvania legislature, meeting in Philadelphia in 1785, to thank France for helping America win her independence from Great Britain, named the newly formed county, "Dauphin", northwest of Lancaster and north of York, in which Harrisburg is located. The borough of Dauphin, so named when it was incorporated in 1845, is also located in Dauphin County, Pennsylvania. It is also, at least indirectly, named for him. ↑ Gannett, Henry (1905). The Origin of Certain Place Names in the United States. Govt. Print. Off. p. 100.